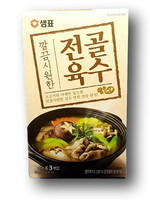 Noodles: wheat flour, palm oil, tapioca starch, salt, acidity regulators (E452, E501, E451, E500, E339, E450), thickeners (E1400, E401, E412), antioxidants (E307b, E304), green tea powder. 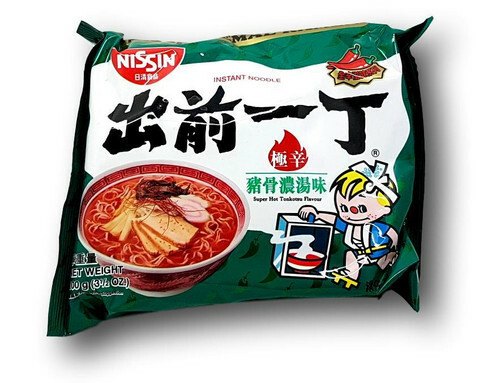 Chili sauce: miso paste (soybean, rice, salt), palm oil, soy sauce (soybean, wheat, salt), flavor and aroma (pork, chicken), rice wine, soybean oil, glucose syrup, yeast extract, spices, color (E160c), milk protein. 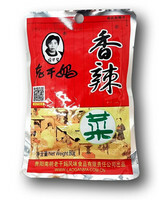 Soup base: salt, flavor and aroma (Pig), flavor enhancers (E621, E627, E631), white sugar, yeast extract, garlic powder, sesame seeds, spices, glucose syrup, palm oil, dried green onion, thickener (E466), milk protein.